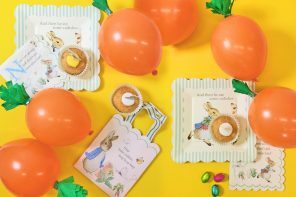 We are delighted to welcome award winning blogger Maggy Woodley from Red Ted Art, our new resident arts and crafts guest blogger! 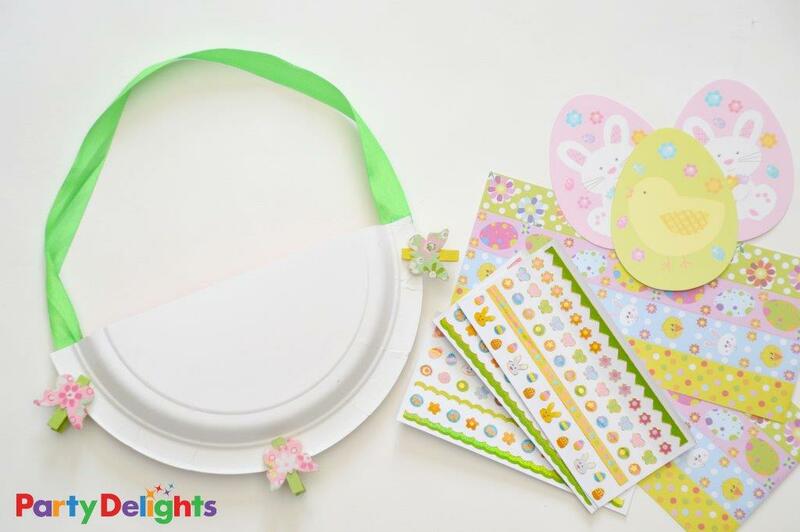 Today we are going to show how to make not one, but TWO, very simple paper plate crafts – just in time for Easter. 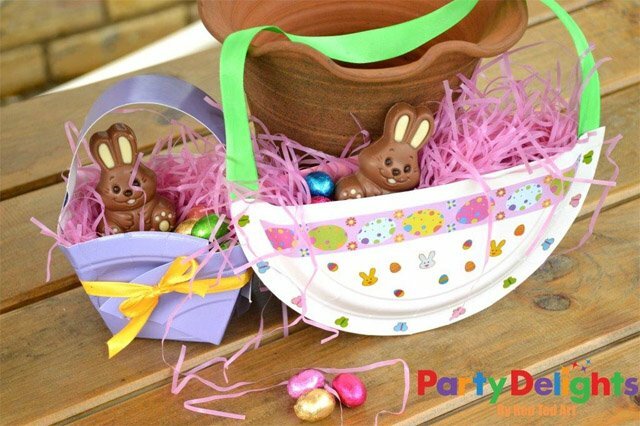 You can quickly and easily turn a couple of paper plates into these adorable little Easter baskets. These Easter baskets would be a great craft for an Easter party, or during a school lesson or made by you as party favours. 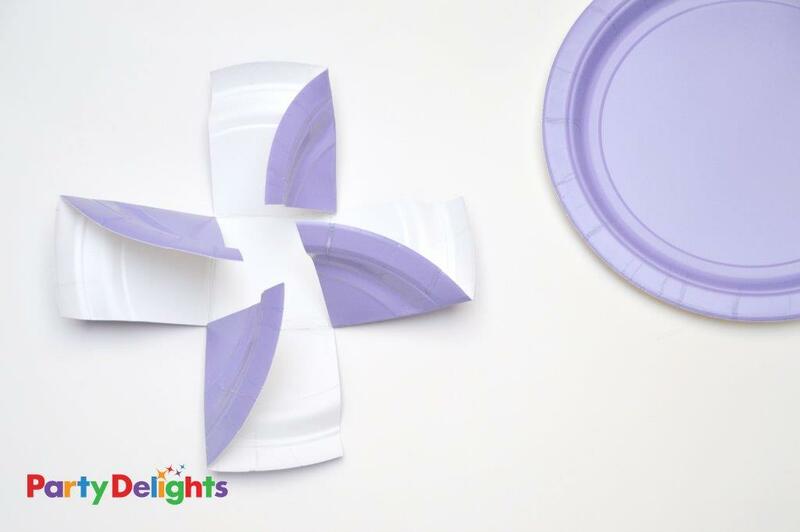 And as you only need some paper plates and decorative bits and pieces, they make for a very thrifty craft indeed! 1. You may find it easier to draw a square onto the centre of your basket first (it doesn’t have to be square, a rectangle works just fine too). 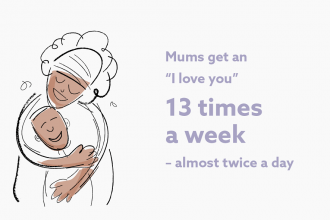 A rough sketch is fine, this doesn’t have to be too accurate. 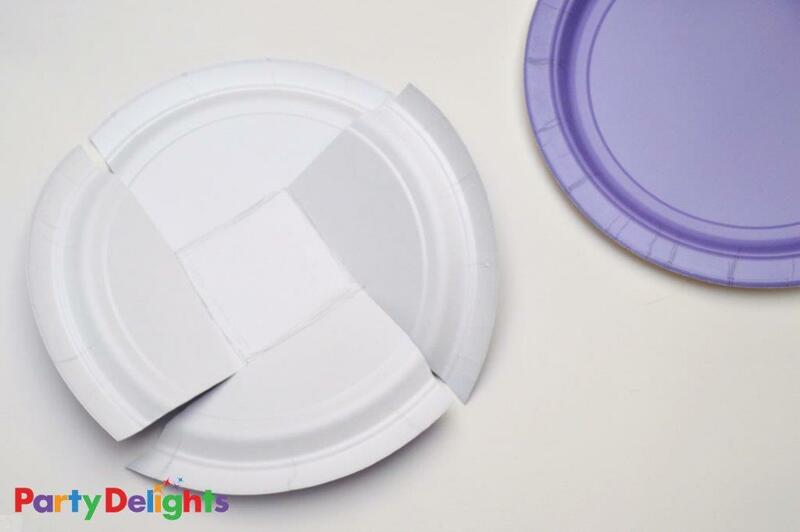 Once you have this in place, cut four slits into your paper plate, one at each corner – you will have a windmill look now. Make a good crease along your pencil marks. 2. Now make a good crease as per the image below. 3. Fold the sides up, with each side overlapping the next. You can adjust how “straight” you make your sides. Here we show it at a little angle, to make the basket a little bigger to fill. Sellotape in place, you can also use staples or glue. If using glue, use clothes pegs to hold everything in place whilst drying. 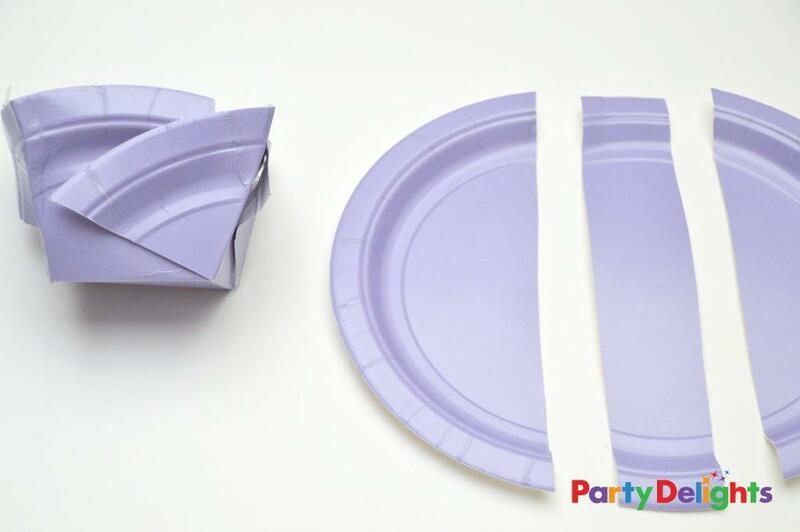 Meanwhile, cut out a strip from a second paper plate as a handle. 4. Tape/ glue into place. 5. 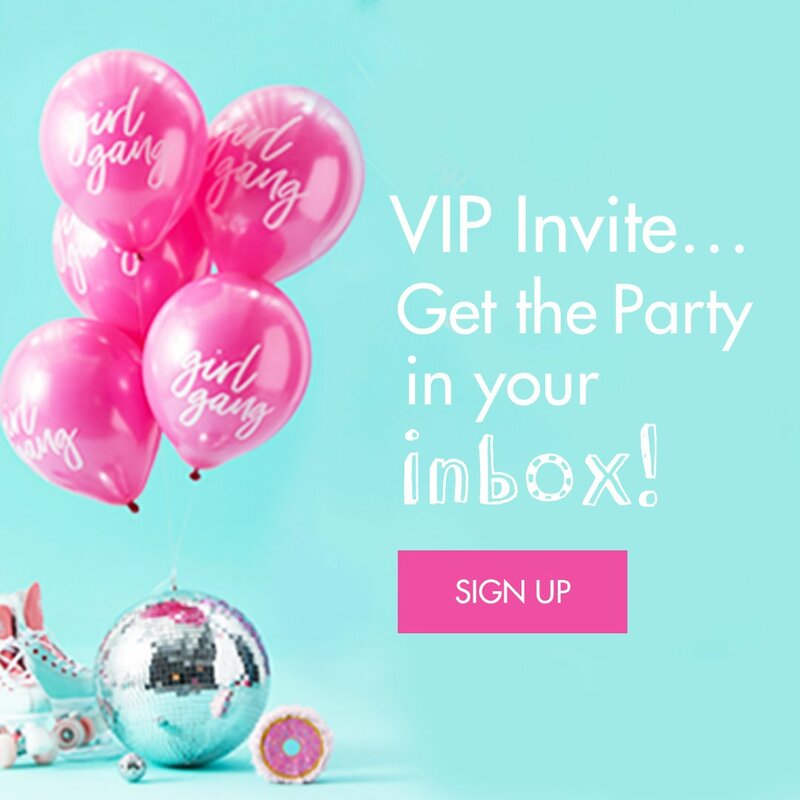 Add a ribbon for effect. 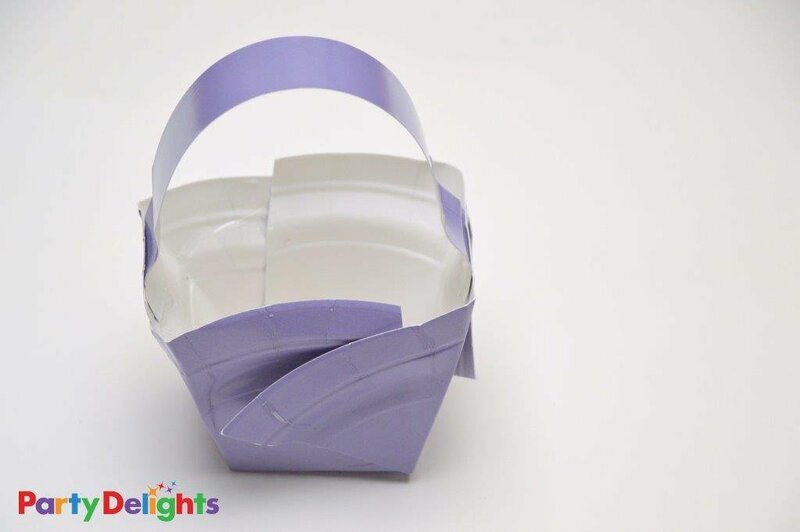 As the sides are at an angle, you may need to tape the ribbon into place, so it won’t slide off. And finished!! 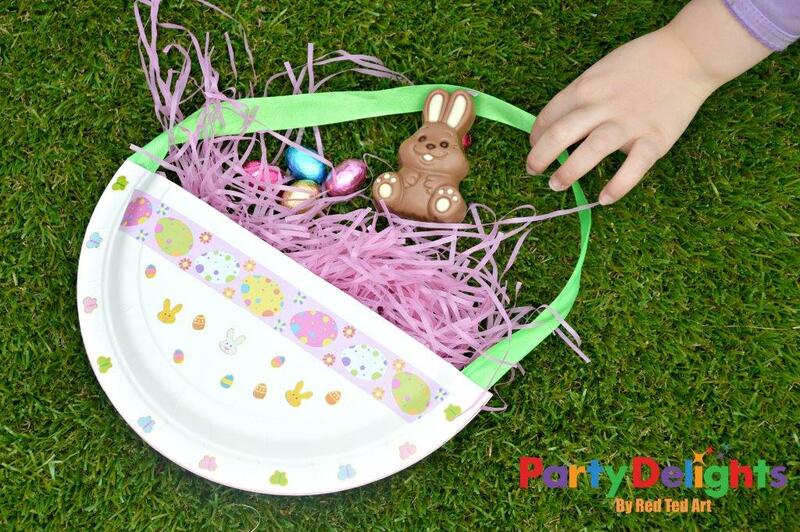 Either use it to go on an Easter Hunt, or fill with treats to take home. 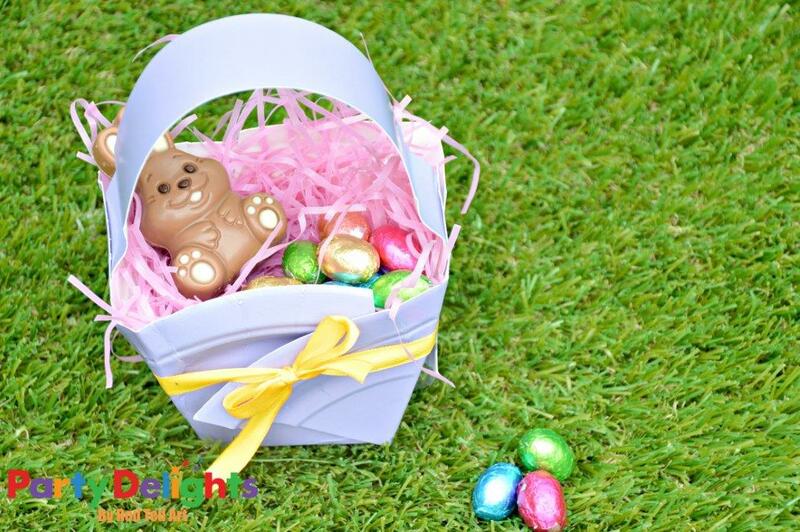 This is a great craft to do with young children, it is super quick to prep and they can have lots of fun decorating… and you will be surprised how many chocolate eggs they can fit in!! 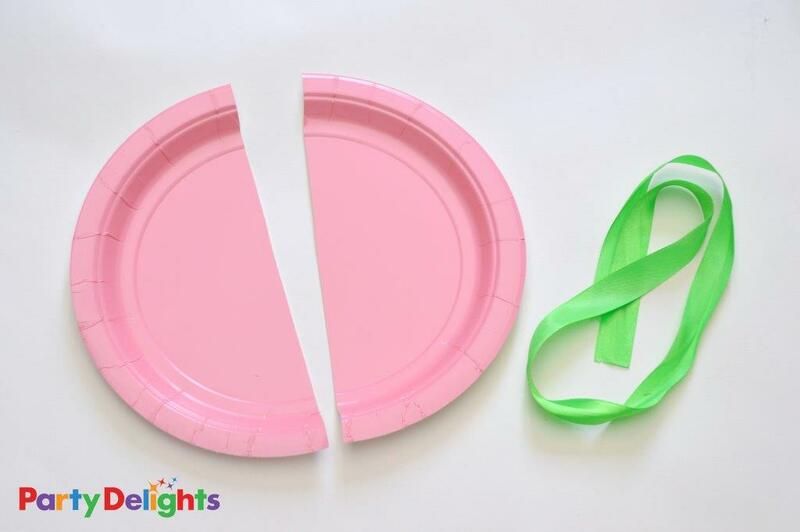 1) Begin by cutting your paper plate in half. 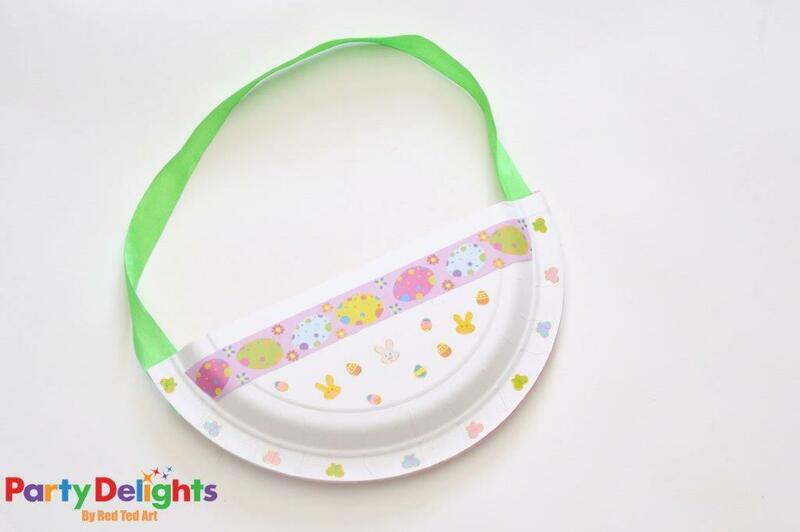 The coloured side will be on the INSIDE of your little basket/ bag, this is because of the curve of the plate. 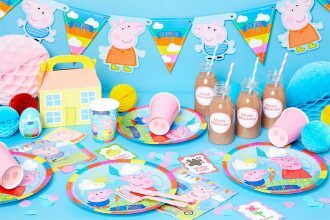 But don’t worry, the kids love having a pretty “inside” and it adds to the delight. 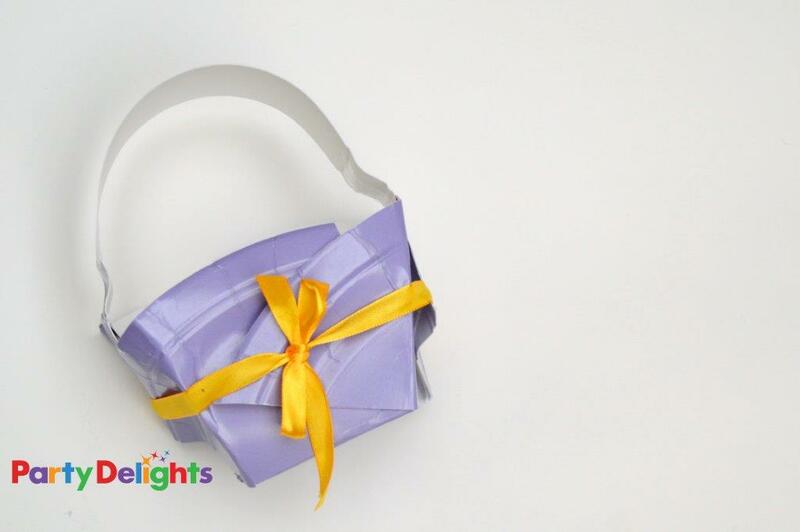 2) Glue your two halves together – don’t forget to add the ribbon! We used clothes pegs to hold it in place whilst drying. 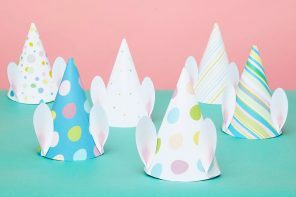 But a stapler works really well if you are making lots of these! 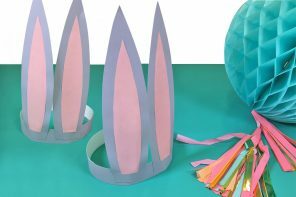 Whilst it is drying, get your decorative bits and pieces out – you can use anything – stickers, paper chain strips, easter egg cut outs, washi tape, pens and crayons…. your imagination is the limit!! Time to go Easter Egg hunting!!!! How adorable! Thanks for this wonderful little tutorial!